One of the most popular foam bed pillows ever sold! 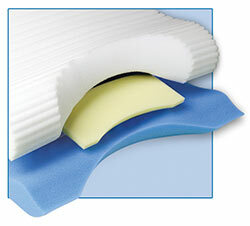 This cervical pillow was developed by Contour Products more than 20 years ago and customers keep coming back. Many users claim this is the only bed pillow they will use. It promotes proper positioning of the head, neck and spine area throughout the entire night and is especially designed for anyone with painful neck symptoms. The “white” soft foam layer shapes to the curves of your head & neck providing soft comfort. The “yellow” firm center pillow is designed to provide extra support to the neck and shoulders to keep you in the right position all night. The “blue” Support base is made with extra firm control to prevent ‘bottoming out’ and keeping your head properly supported throughout the night! Ordinary pillows just don’t properly support the head and neck, often placing your neck in an unnatural position. Sleeping in an un-supported manner can cause the surrounding muscles in the neck and upper back to work harder, which can result in stiff, sore muscles. The Contour Cloud Pillow helps support and align the neck and spine to alleviate these type of issues.. Your head, neck, shoulders and back “sense” the support and relax so you enjoy a deep, restful night’s sleep and awake feeling refreshed and rejuvenated. Your pillow comes with a custom fitted velour cover. It provides a soft sleep surface which compliments the pillow. Additional covers are available . There are several oioptns to consider but the most important is what is your sleep style? If you sleep on your back then a medium density pillow is the way to go. If you sleep on yyour side then a firm density is the way to go. Finally, if you sleep on your stomach then a soft density is the right choice.Of course pillows are subjective so regardless of filling down, feather, polyester, buckwheat or whatever else try getting a pillow that offers you the right amount of neck support.The memory foam pillows are rigid and are good for some sleepers the downside is they can be expensive and can not be hugged or molded to fit a shape you like. They are also not machine washable. In general, I really like PrimaLoft which is a luxury alternative. 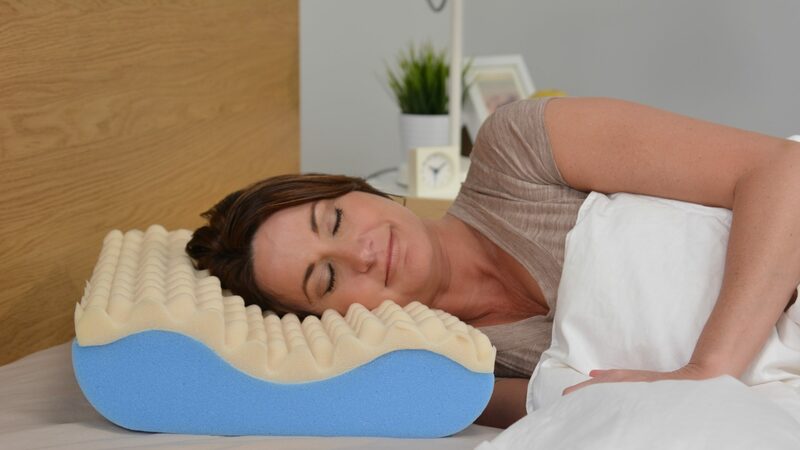 It is sold in soft medium or firm filling oioptns and ranges from $20 to $60 with most in the $30 to $40 range.The goal is to have a pillow which will allow your neck to stay aligned more with your back based on your sleeping position. Very nice pillow. I bought two many years ago and keep coming back. Thanks!